American Road Conservation LLC is raising the standards in the sweeping and road maintenance industry. Servicing the cities and towns of N. Carolina. Satisfied customers in Elizabeth City, Moyock, Kitty Hawk, Nags Head and Chesapeake, VA, confirm that choosing Coastal is a great business decision! 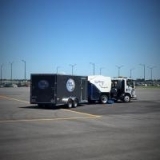 We serve Virginia and N. Carolina; NAPSA-Certified and a complete sweeping and maintenance company. Elite Maintenance services North & South Carolina customers. All types of ext. maintenance provided. Golden Rule Services provides sweeping and other forms of quality care to all types of surfaces in central Virginia and the surrounding states. King Enterprises is a second generation, family-run operation begun in 1973. 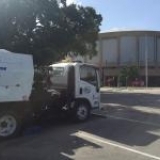 We perform all types of air sweeping, as well as landscaping and more. Lot and Land Maintenance is a full service, one stop Maintenance Company for all of your property's needs. At MAJOR clean, INC. our jobs are always completed to the customer’s satisfaction. Southco offers complete sweeping and exterior maintenance services throughout N. & S. Carolina.